Even as Paul Feig’s upcoming Ghostbusters draws the combined fire of the internet—like some sort of giant, sailor-suited marshmallow man—another movie in the ghost-fighting franchise has been slowly lurching its way to life. Now, like a river of pink, emotion-reactive ooze (or a creeping sense of diminishing returns in the hearts of long-loyal fans), Sony’s animated Ghostbusters film—originally hinted at back in October—has lined up a director of its own. Variety is reporting that commercial director Fletcher Moules has signed on for the task, having been tapped by the still-ridiculously-named “Ghost Corps” Sony put together a few years ago to more fully exploit the series. 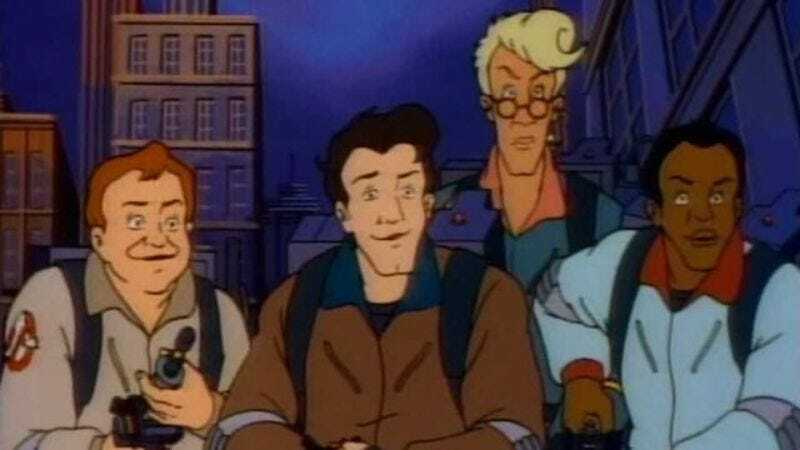 (Corps member and original Ghostbusters director Ivan Reitman is expected to co-produce.) Moules is mostly known for his work on a series of irritatingly unavoidable TV spots for the mobile game Clash Of Clans, which use brightly colored CGI characters to convince players they’re doing something other than paying for the privilege of clicking on a spreadsheet for hours at a time.